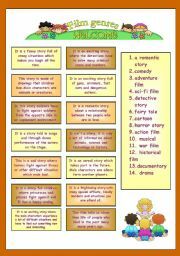 Children have to read the definition and connect it to the type of film from the box. You can cut it and use it as a guessing game as well. How well do you know your body? 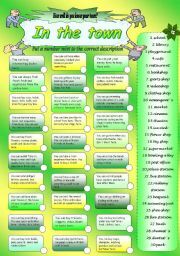 Try to match activities in this worksheet. 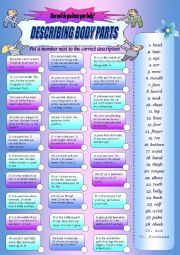 It can be used as matching activity, or you can as well use it as a gessing game (to cut it) at the beginning or end of the lesson...have a nice day. 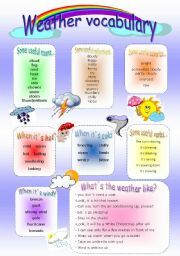 Match the school words to the correct definitions. 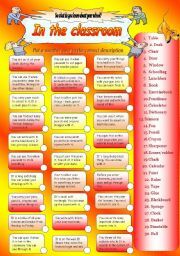 It can be used in many ways, as a guessing game, matching exercise, warm up at the beginning of the lesson. 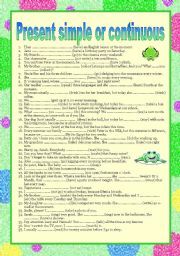 Several sentences to practice present simple and continuous...very simple vocabulary suitable for young learners. Have a nice day. Children have to draw picture according to text they are listening to. It can be more compatitive for them adding colours and adjectives. At the end of the "dictation" they can compare their pictures. It�s fun. 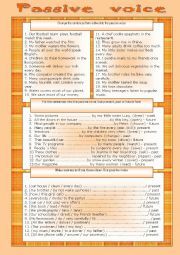 60 sentences to agree with the person mentioned in the sentence. Easy for children to understand. Enjoy! 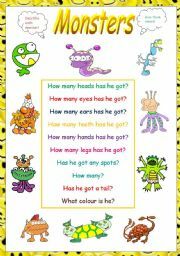 Monsters - describe their body parts! 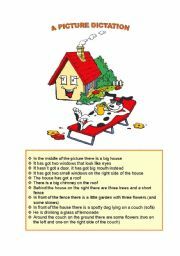 A set of pictures with some simple questions for children to answer.